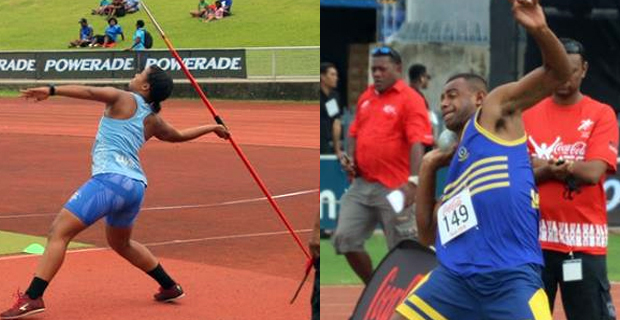 Thirteen gold medals are up for grabs on Day 1 of the Coca-Cola Games at the ANZ Stadium today. Gold medals available in the Girls Division on Day 1. Intermediate Girls Triple Jump, Intermediate Girls Discus, and Girls 1500 meters will be held today. In the Girls 1500 meters, Camari Adilasaqa who won two gold medals for Wainibuka Junior Secondary School last year will be running for Adi Cakobau School in the Girls 1500 meters today. She won gold in the Girls 1500 meters and 3000 meters last year. The girls 1500 meters will start at 4.18pm today. Gold medals available in the Boys Division on Day 1. John Raju of Xavier College will be running in the Junior Boys 1500 meters. He won gold in the Sub-Junior Boys 1,500 metres last year. Suluvulaono Ma’afu who won gold in the Junior Boys 1500 metres last year will be running for Ratu Kadavulevu School in the Intermediate Boys 1500 metres this afternoon. He represented Naitasiri Secondary School last year. Petero Veitaqomaki of Marist Brothers High School will also hope to win gold again in the Senior Boys 1500 metres this afternoon. Veitaqomaki won gold in the 1500 metres Intermediate Boys last year. The heats of the 100 metres will start at 10.58am today. The runners to keep an eye out for in the Senior Girls 100 metres heats are Salote Baravilala of Jasper Williams High School, Fane Sauvakacolo of Suva Grammar School, Jessie Vakaloloma and Serenia Ragatu of Adi Cakobau School, Braelynn Yee of Saint Josephs Secondary School and Mereseini Tinailewadina of Naiyala Secondary School. The runners to keep an eye out for in the Senior Boys 100 metres heats are Kolinio Radrudru, Joeli Bolakoro and Josaia Bosoka of Ratu Kadavulevu School, Nemani Mudreilagi of Natabua High School, Vereniki Koroi of RSMS, Livai Maravou of Queen Victoria School and Viliame Rekitilako of Marist Brothers High School. ACS Team Coach Antonio Raboiliku says a major focus for them this year has been improving their performance in the field events. ACS have 60 athletes this year and 17 will take part in field events. RKS Vice Principal, Walesi Soqoiwasa says the threat will come from Natabua High School, Marist Brothers High School, Suva Grammar School and Queen Victoria School. Soqoiwasa says the athletes have also been reminded not to underestimate schools from the maritime zone. Jasper Williams High School and Natabua High School have remained quiet and focused since they arrived in Suva over the weekend. They are not allowing any distractions as they aim to take back the boys and girls titles to Lautoka. Jasper Williams High School has 55 athletes and Natabua High School has 90 athletes. Queen Victoria School will have 39 athletes participating while Marist Brothers High School has more than 70 athletes. The Coca-Cola Games will start today at 10am with the first event being the Junior Girls High Jump.